If the idea of working outside in the sunshine, running your own business and being your boss appeals, you might be thinking of starting a lawn mowing business? I mean, how hard can it be to get started… just buy a lawn mower, whipper snipper, leaf blower and some handy garden tools and go out and snag your customers, right? 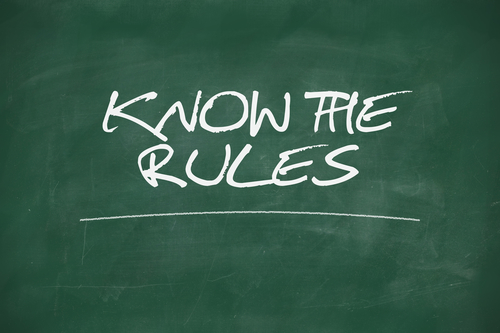 When you start any business in Australia, you need to be aware of important legal requirements, so your lawn mowing business doesn’t fall foul of the law and attract harsh government penalties. But don’t let these government requirements scare you off. There are plenty of government resources out there to help you. One of the most user-friendly sites being that of Business Victoria. If you live in Victoria, the state government’s Business Victoria website is for you. They’e put together a checklist for starting a business, an outline of common costs, writing a business plan, details about how to register a business name, information about licences and registrations, a guide for protecting your business name or idea, a checklist for buying a franchise – in case you’re thinking of buying a lawn mowing franchise (such as Jims Mowing, Express Lawn Mowing, VIP Home Services or one of the many other options), and much more. 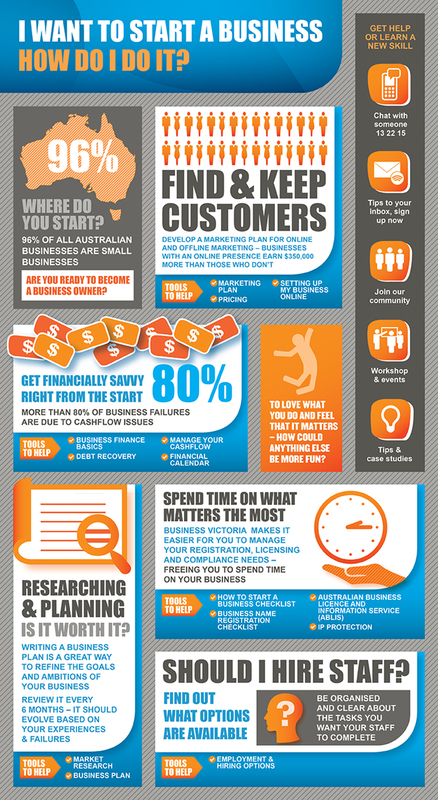 Business Victoria has also put together some very useful infographics like the below, I want to start a business – How do I do it? In you live in Queensland, your go-to-government-resource is the Business and Industry Portal. It doesn’t have any clever infographics, but it does have all the legal and business information you need if you’re starting a lawn mowing business. Very helpful information, I’ve recently started out in the lawn mowing/garden maintenance niche and didn’t realise there was so much paperwork involved in getting set up correctly. Thanks for the post. Hey Guys, I’m looking at starting a lawn/ garden maintenance business from home do I require an abn or no?